Restylane Skinboosters Vital Light is a high-performance aesthetic filler that contains non-animal stabilized hyaluronic acid (NASHA). It is mainly for younger skin to delay aging. 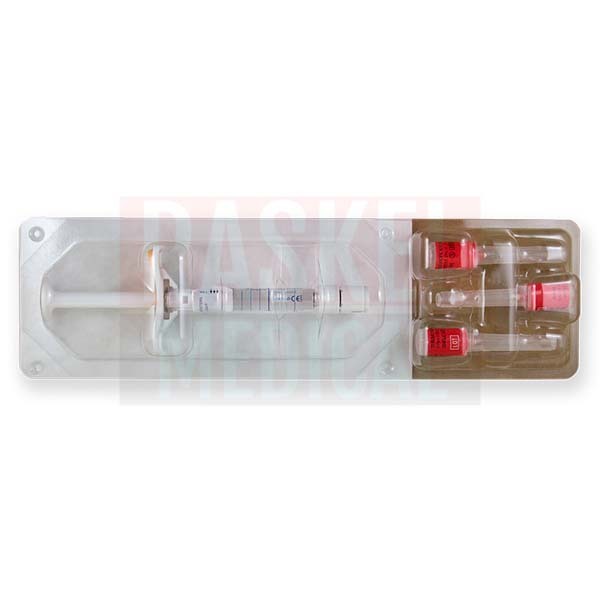 The injectable is packaged in a 1ml pre-filled syringe, and comes with three sterile needles and a packaging insert. 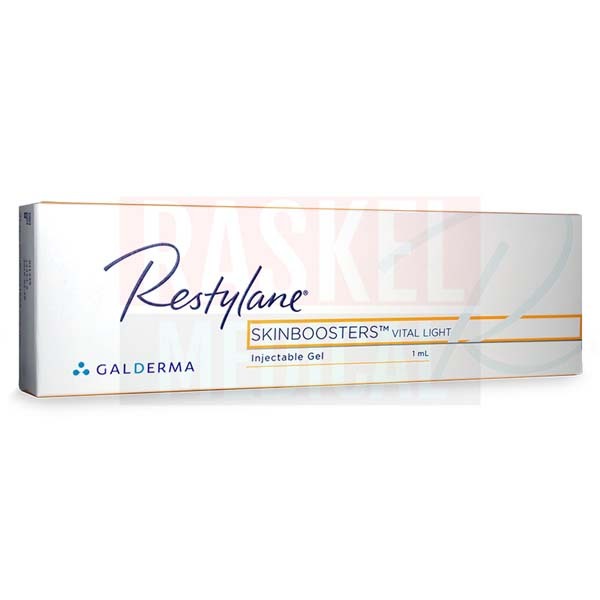 Restylane Skinboosters Vital Light is commonly used to treat younger skin. It also enhances the skin tone, helping your patients to create clear looking complexion. Plus, the dermal filler improves the elasticity of the skin while restoring its moisture levels. Together these actions help reduce signs of premature aging. Formulated for all skin types, the filler is particularly useful for delicate, young skin. It is designed to be used on the face, lips, neck, décolletage and hands. The original manufacturer was Qmed (Sweden). 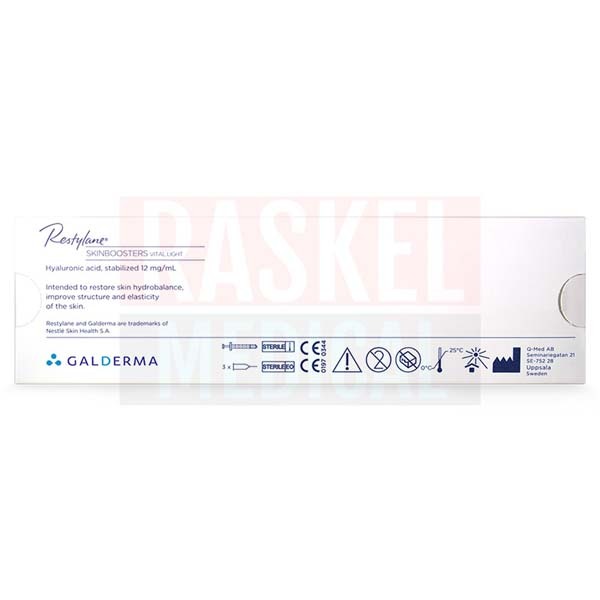 Galderma (a Swiss company) then acquired Qmed. This product originated in Sweden. Some of the common adverse effects of the cosmetic filler include redness, pain, and bruising at the injection site. The 29G needle should be used for treatment. To allow even distribution, massage the injected area gently. Discard used needles and syringes. Restylane Skinboosters Vital Light is formulated with hyaluronic acid as its active ingredient. Thanks to its water retention effects, hyaluronic acid effectively rehydrates the skin while preventing premature aging. The synthetically-derived hyaluronic acid is able to undergo bio-decomposition, eventually eliminated from the body without leaving any residue. Furthermore, it has a lower risk of immunogenic reaction compared with natural hyaluronic acid. Restylane Skinboosters Vital Light is specially formulated to deliver durable anti-aging results. To maintain the results, repeat the injection every six months. The therapy schedule should be individualized for each patient. 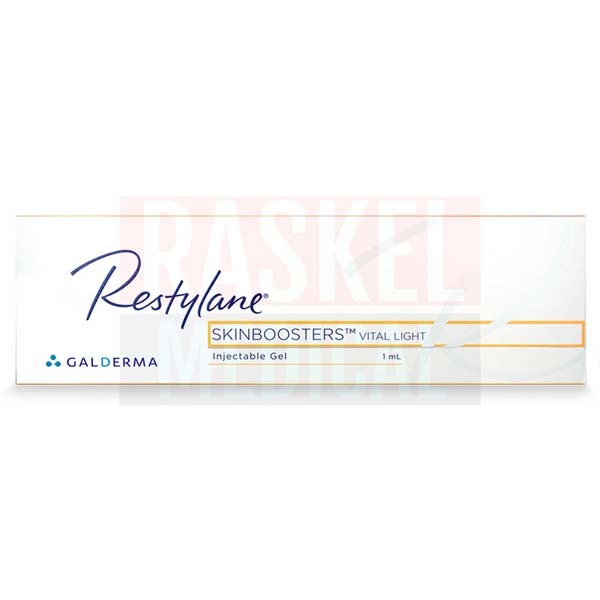 Keep Restylane Skinboosters Vital Light at room temperature of lower than 25 degrees Celsius. Protect from sunlight and freezing. Make sure that the packaging is intact. Do not use if it is damaged. Check the expiry date before use. Do not administer any injectable that has passed its shelf life.